The process improvement training programs are a collaboration among ETL personnel, educators, and personnel from the Quality Network Group of General Motors. This collaboration has resulted in a unique blend of industrial engineering, psychological, and educational concepts that form the basis of ETLs approach to Accessible or Universal Design for Learning. Current financial support for the ETL is from a contract with Region IV, the eight Intermediate School Districts in southeastern Michigan: Jackson, Lenawee, Macomb, Monroe, Oakland Schools, St. Clair, Washtenaw, and Wayne RESA; and three NSF grants: 1) BSE 9707720, from the Bioengineering/Rehabilitation Program for Student Design Projects, 2.) DUE 9972403 pilot study for the development of accessible design material, 3.) DUE 0088807 for the development of accessible design curriculum material. Dr. Erlandsons other research activities involve the theory and application of decision-making methodologies as well as data analysis techniques. Applications areas for the decision-making and data analysis research include: sleep disorders, analysis of electromyographic signals, and resource allocation in public school systems. He has pioneered the use of service robots for use in rehabilitation therapy. He has also worked on the design and development of bio-instruments. More recently, he has been working on the development of decision-making methodologies utilizing multi-valued logic and non-parametric techniques. Dr. Erlandson was also guest editor for a special section on rehabilitation robotics in the IEEE Transactions on Rehabilitation Engineering, March 1995. Dr. Erlandson is Chairman of the ECE Departments Undergraduate Committee. In addition to teaching introductory circuit courses, Dr. Erlandson teaches design classes (ECE 5370 and ECE 5380) and an enabling technology class (ECE 6100) cross-listed among Electrical and Computer Engineering, Biomedical Engineering, Occupational Therapy, and soon Education. Dr. Erlandson has received numerous awards for his teaching and educational activities, including Teaching Excellence Awards in 1994 and 1998. Most recently, Dr. Erlandson and the ETL were awarded the 2000 Michigan Campus Compact Faculty/Staff Community Service-Learning Award. This award is given to recognize exceptional programs at the 31 participating Michigan colleges and universities, that engage or influence students to be involved in community service or service-learning through modeling, influence, or instruction. 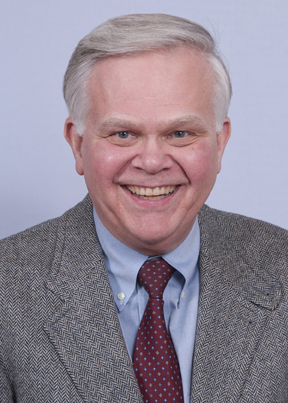 In addition to his academic experience, Dr. Erlandson has worked at Bell Telephone Laboratories where he was actively involved in their In-Hours Continuing Education Program and worked in the Advanced Software Systems Group. He was also on loan from the university to serve as Vice President for Research and Technology Development for the Metropolitan Center for High Technology, one of three economic development centers established by the State of Michigan.